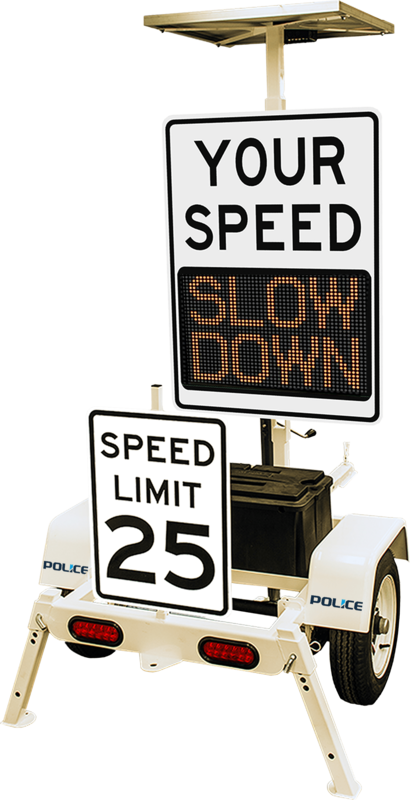 TraffiCalm’s Radar Feedback signs are an effective tool in decreasing speeds in urban communities, on highways, in school zones, construction sites or special events. Now, with TraffiCalm’s TC Mini Display Trailer, traffic calming is even easier and even more portable. 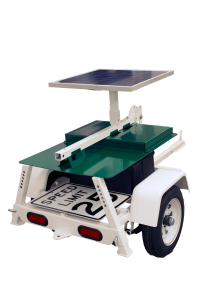 A portable radar sign, operating on solar power or batteries can be moved from place to place, calming traffic and collecting data about traffic that can be downloaded through a wireless Bluetooth connection. 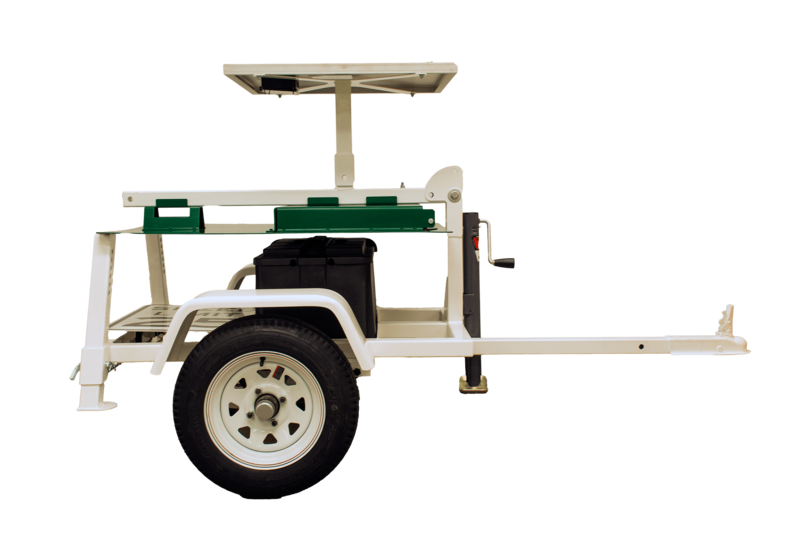 The trailer allows for Radar Speed sign s to be quickly and easily deployed wherever needed. 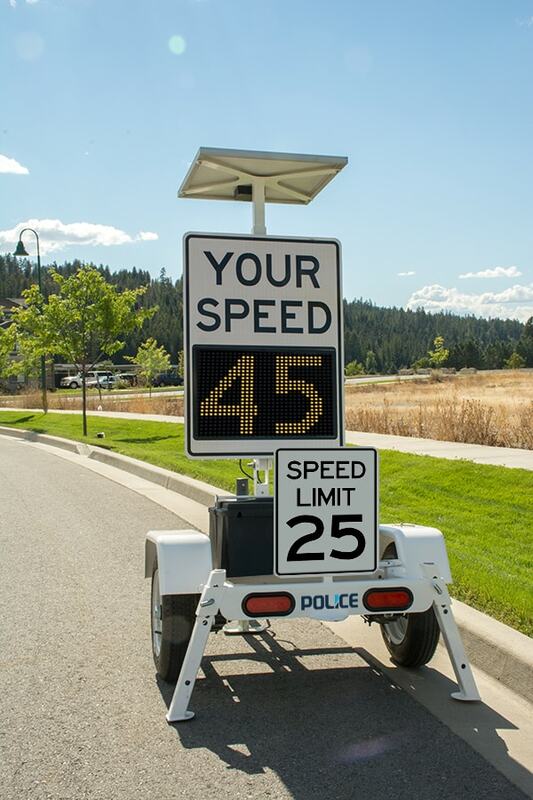 18″ X 24″ 25 MPH Speed Limit Sign included with numerical plaques to allow for changes to the static speed limit sign to be made. Provided with a cushioned battery mount to reduce vibration and shock to the battery. Two stabilizers that drop to grade with an additional hand crank stabilizer provides added stability, securing the sign even in high winds. Connecting bracket at rear of trailer provided for tandem towing as necessary.